Home - Website of fewfoundation! 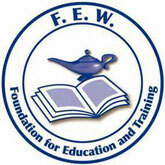 The FEW Foundation for Education and Training (FEW Foundation) is a tax-exempt charity focused on helping women enhance their career opportunities through education and training. Established in 2004, the FEW Foundation is the 501(c)(3) charitable arm of Federally Employed Women (FEW), a national organization founded in 1968. FEW's focus areas include Diversity, Training, Legislation, and Compliance. The FEW Foundation supports FEW's National Training Program (NTP) and the Regional Training Programs (RTP's). We provide academic scholarships, and partner with educational institutions. The Foundation developed its scholarship program to assist FEW Regions to send more members to both the National and Regional Training Programs. We partner to develop additional academic scholarship opportunities. The education and training we support not only assists women meet their educational goals and career advancement in federal service, but it helps train the future workforce. Please share this information with FEW Chapter members and other interested parties.